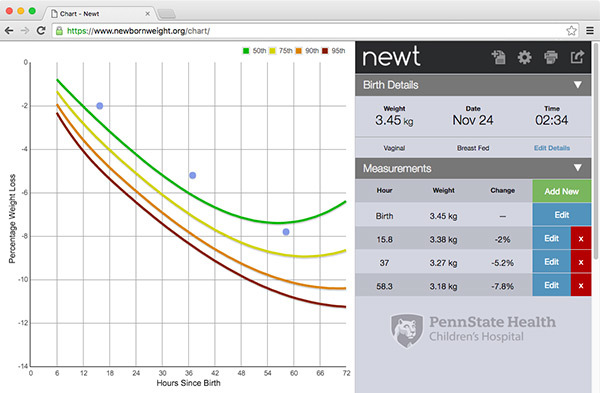 The User acknowledges and agrees that the Newborn Weight Tool (“newt”) and all content available through this web site will be used only as a reference aid, and in conjunction with the clinical management of a qualified healthcare provider. It is not intended to provide specific medical advice or be a substitute for the exercise of professional judgment. Always consult a qualified medical professional for diagnosis and treatment of any and all medical conditions, and to obtain answers to health related questions. 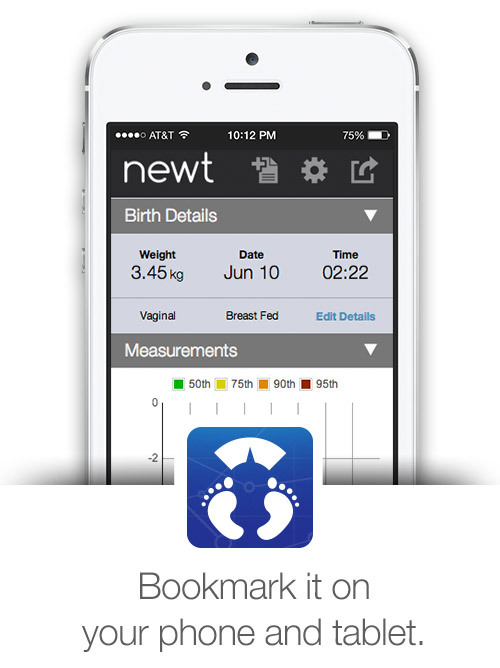 The Newborn Weight Tool and all associated content on this website is provided without representations or warranties of any kind, express or implied. Penn State Milton S. Hershey Medical Center is not responsible or liable for loss or damage of any kind arising out of or in connection with, the use of, reference to or reliance on this website or newt. By continuing to use newt, you have indicated your acceptance of these terms.